The Chalumeau is the predecessor to the modern-day clarinet. 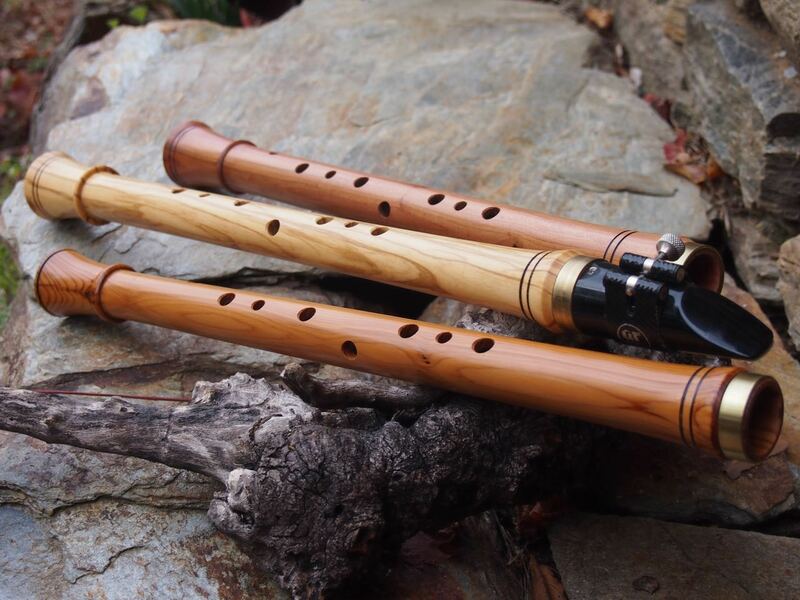 It’s sound is softer and and opener as the clarinets sound, almost like a Duduk from Armenia. It is a lot easier to play than the Duduk thanks to it’s modern adaption that uses the same mouthpiece as the clarinet. This version of the Chalumeau has nine tone holes instead of the eight on the historic instrument and plays in the second register when you open the thump hole a tiny bit. It plays about 2 1/2 octaves depending on the abilities of the player. Made of olive wood it has a clear and overtone rich sound. It is also available in cherry wood making it sound a bit warmer with less overtones. Occasionally I make it from other species as maple, plum or boxwood. It is available in G and C, other tonalities are in progress. Samantha Archer recorded this beautiful demo playing a chalumeau in G made of olive wood, she is accompanied by Jaron Tripp playing a Cajonico.